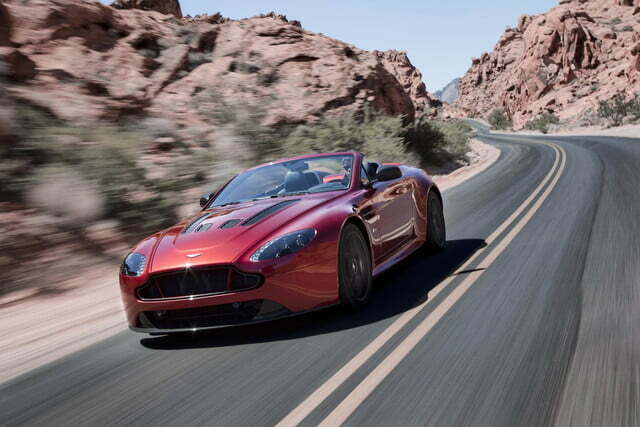 Last year, Aston Martin unveiled the V12 Vantage S, a car that puts the company’s biggest engine in a lightened version of its smallest chassis. 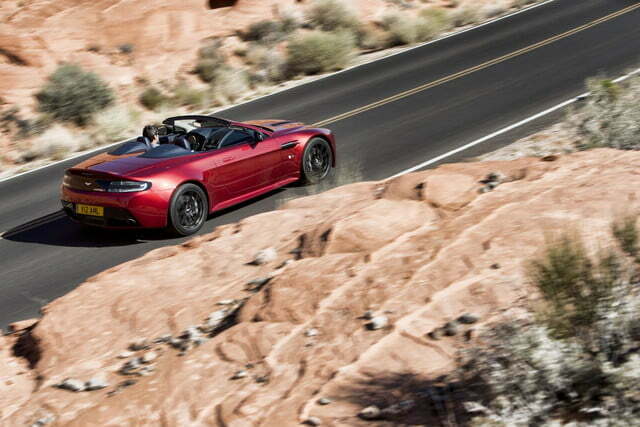 Now, Aston is dropping the top. 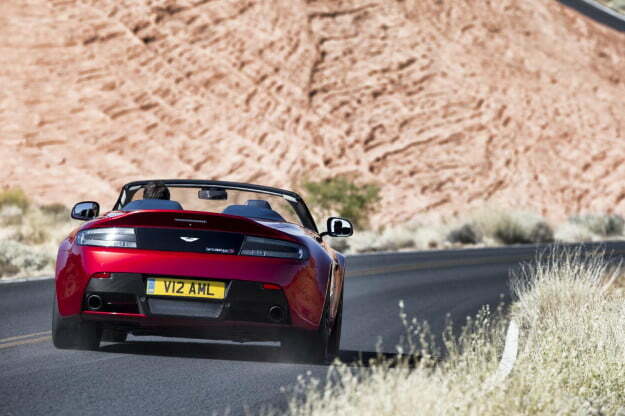 The 2015 Aston Martin V12 Vantage S Roadster features all of the excitement of a high-performance sports car, with the added bonus of being able to here that glorious twelve-cylinder engine better. 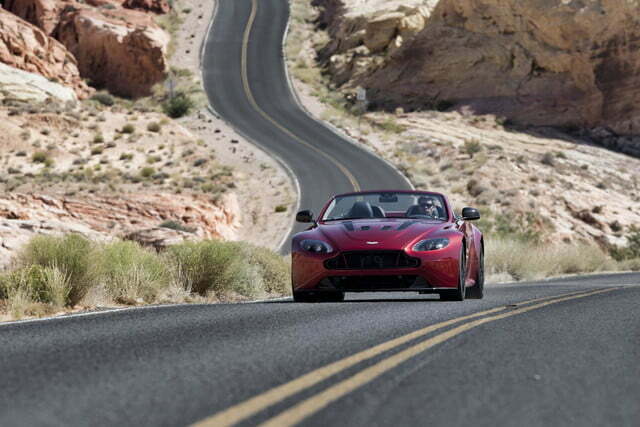 The Roadster features the same 6.0-liter AM28 V12 as the V12 Vantage S coupe, with 565 horsepower and 457 pound-feet of torque. 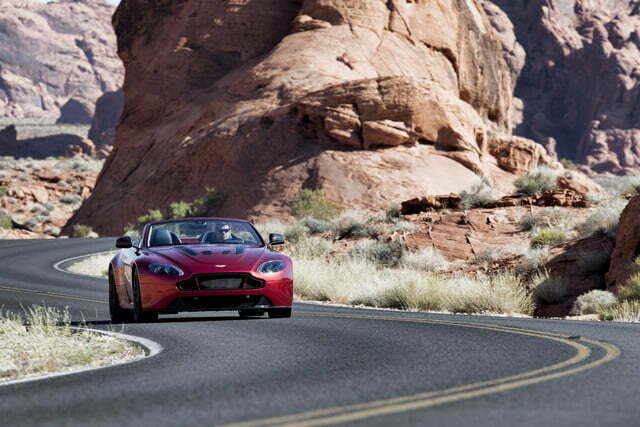 It drives the rear wheels through Aston’s seven-speed Sportshift III automated manual transaxle. 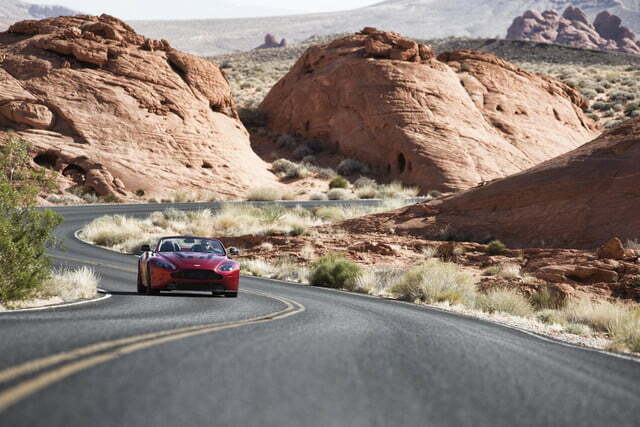 With all of that power under the hood, the Roadster will catapult itself from 0 to 60 mph in 3.9 seconds, and reach a top speed of 201 mph. That’s slightly off the pace of the coupe’s 3.7 second 0 to 60 mph time and 205 mph top speed, but not bad considering the convertible’s slight weight penalty compared to the hardtop. A 200 mph top speed is pretty bloody fast, anyway. 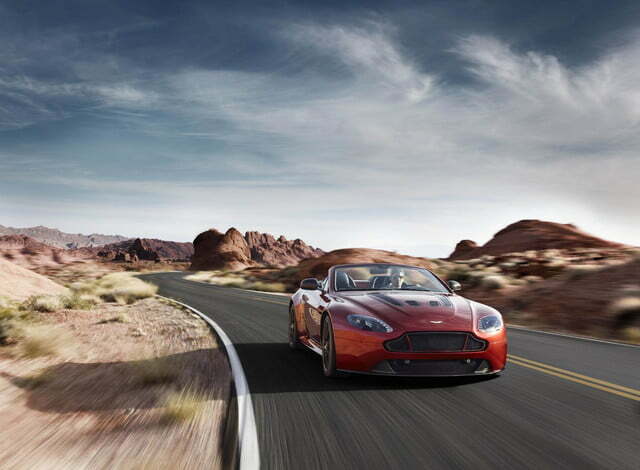 To ensure that the V12 Vantage S Roadster is more than a drag racer, Aston equipped it with the same chassis hardware as the coupe as well, including carbon-ceramic brakes and three-stage adaptive damping. 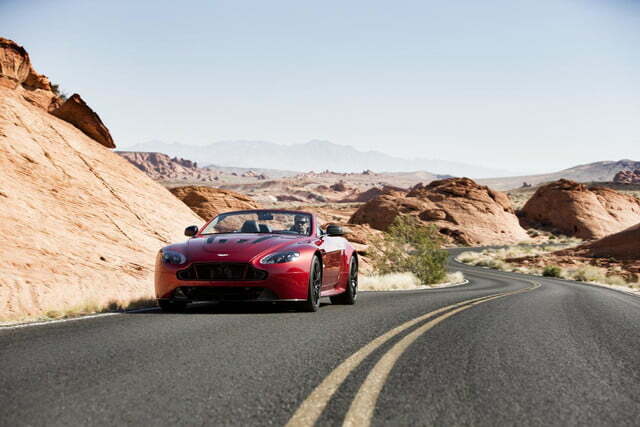 The Roadster also gets more aggressive styling, including a carbon-fiber grille insert, aggressive hood louvers, and optional lightweight 10-spoke forged alloy wheels. 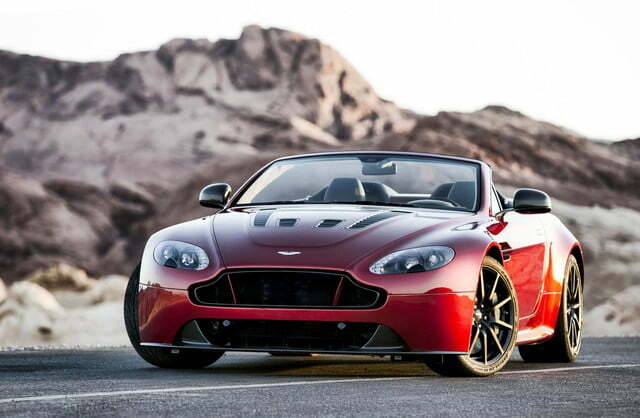 Add the grille “lipstick” from Aston’s factory race cars, and you’ve got an exterior that’s as loud as the car’s V12. Buyers can add similar amounts of testosterone to the interior with optional carbon-fiber seats, and an Interior Carbon Pack that puts the lightweight material pretty much everywhere. 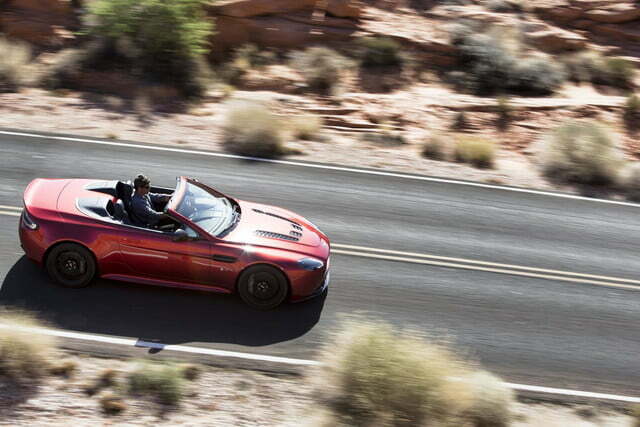 Pricing for the V12 Vantage S Roadster hasn’t been announced, but it will likely be a tad more expensive than the hardtop, which starts at $184,995. It might be a good idea to invest in a pair of goggles as well.